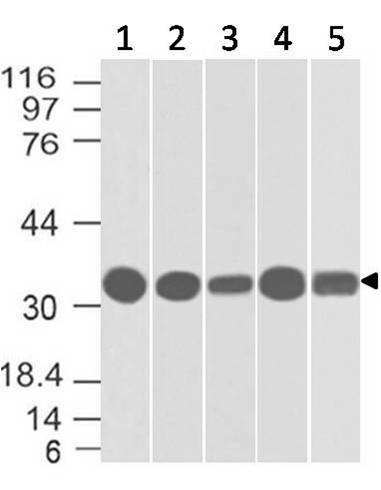 Fig-1: Western blot analysis of mTLR3. 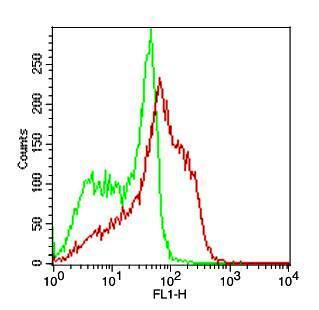 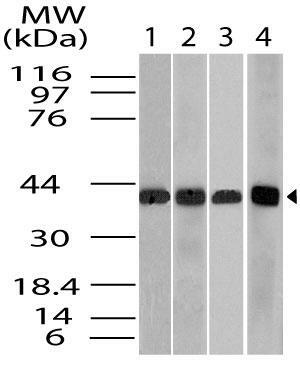 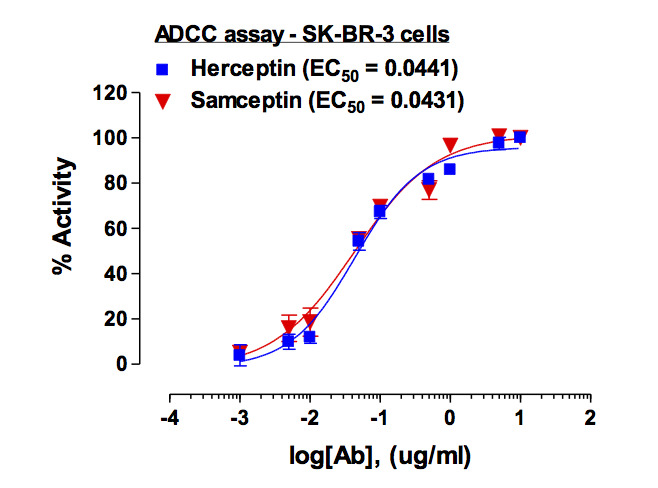 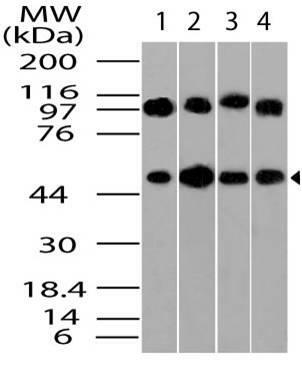 Anti- mTLR3 antibody (11-3025) was used at 2 µg/ml on EL-4 lysate. 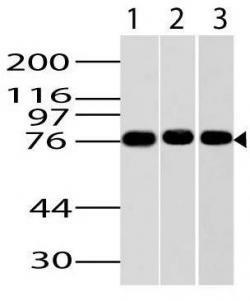 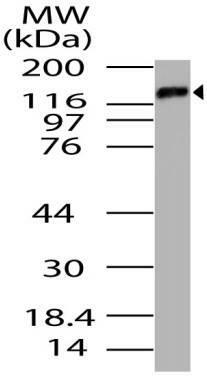 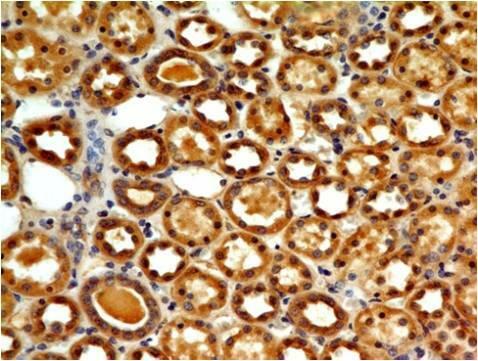 Immunogen Information : A partial length recombinant mTLR3 protein (amino acids 180-400) was used as the immunogen for this antibody. 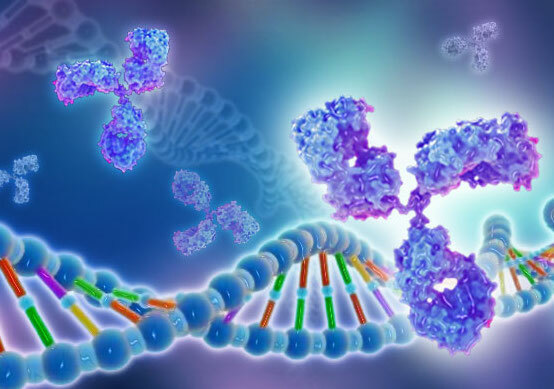 Mouse Toll-like receptor 3 (mTLR3) belongs to a family of evolutionary conserved innate immune recognition molecules and recognizes double-stranded RNA, a molecular pattern associated with viral infections. 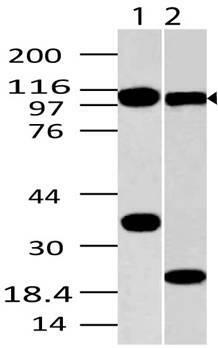 It has seven exons. 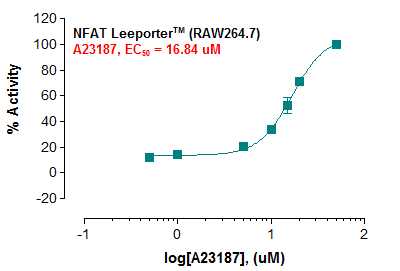 mTlr3 show high homology to hTLR3 in their predicted cDNA and protein sequences. 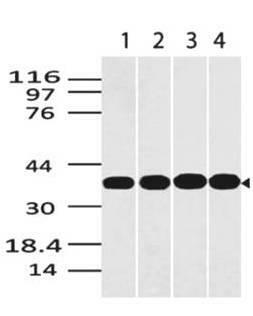 The intracellular region of mTlr3 has remarkable homology with the same region of others mTlrs. 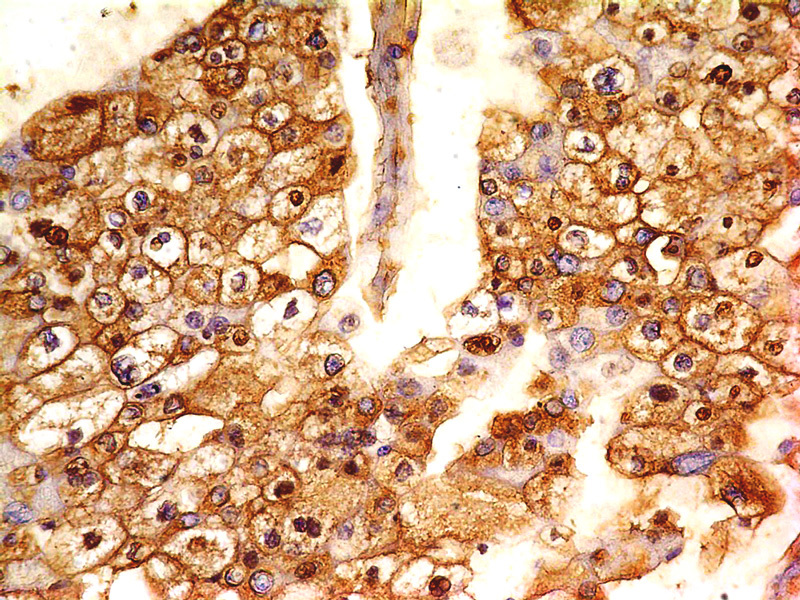 mTlr3 mRNA is ubiquitously expressed in tissues, being expressed highest in spleen, kidney and lung. 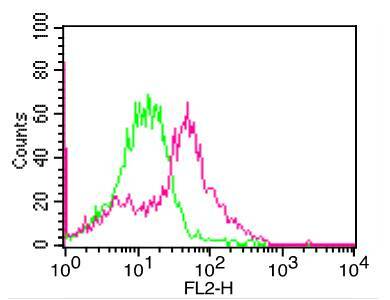 Its activation by the synthetic ligand polyinosine:polycytidylic acid (poly I:C) or by mRNA rapidly causes growth cone collapse and irreversibly inhibits neurite extension independent of NF-kappaB. 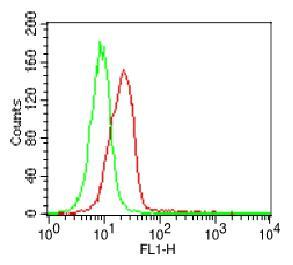 The high levels of mTlr3 expression in Mz B cells perhaps contribute to their ability to clear antigen from the blood.